Thailand speaks for itself. When you hear its name, you already think about beaches, beauty, jungles, and food. And your thoughts are spot on. 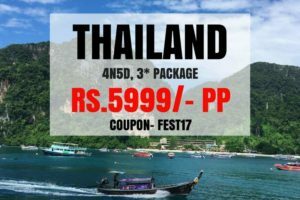 Book your Thailand package here. There is evidence of continued human habitation in present-day Thailand dated 20,000 years. Earliest evidence of rice growing was dated 2,000 BCE. Most scholars now believe that the Tai people came from northern Vietnam around the Dien Bien Phu area. Tai people settled along river valleys, where they formed small settlements and engaged in subsistence rice agriculture. Women could have high social status and inherit property. Tai people started inhabiting in present-day Thailand in the 11th century, where Mon and Khmer kingdoms were situated at the time. Ayutthaya Kingdom rose from the earlier, nearby Lavo Kingdom and Suvarnabhumi with Uthong as its first king. Its initial expansion is through conquest and political marriage. Before the end of the 15th century, Ayutthaya invaded Khmer Empire twice and sacked its capital Angkor. Ayutthaya then became a regional great power in place of Khmer Empire. 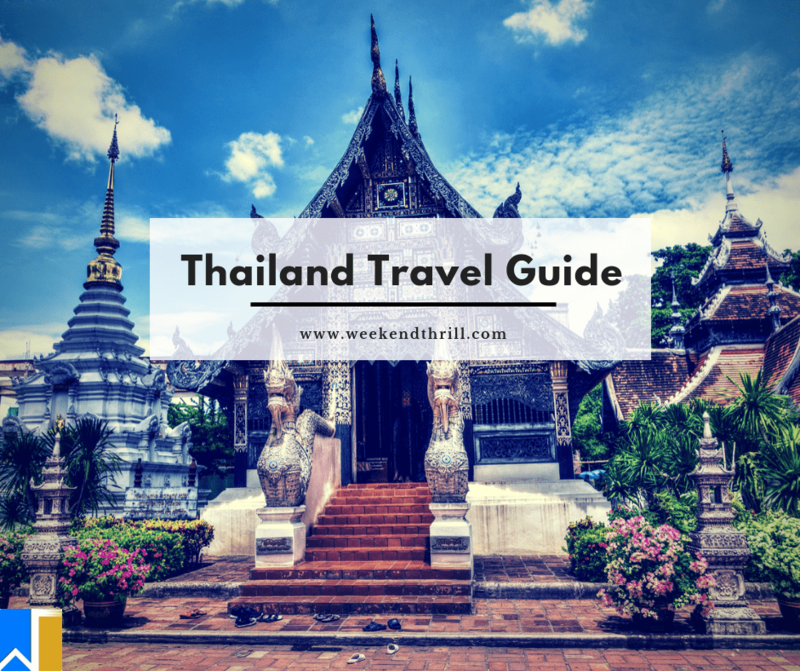 Here are the things that you absolutely should not miss during your thailand trip. European contact and trade started in the early 16th century. Ayutthaya was an important trade center which was known to trade with China, India, Persia, and Arab lands. The kingdom especially prospered during cosmopolitan Narai’s reign (1656–88). Some European travelers regarded Ayutthaya as Asian great powers alongside China and India. However, growing French influence later in his reign was met with nationalist sentiment and led to eventual revolution of 1688. Trade with the West declined afterwards. After that the Kingdom of Ayutthaya’s power waned and anarchy caused the total bloodshed of the city and the control of its five territories by warlords. Later Chao Phraya Chakri (later known as king Rama I) executed the warlords and became the first king of Thailand. He was also the founder of Bangkok on April 6, 1782. Thailand sided with the allies during the first World war and was a part of the victors. The bloodless revolution took place in 1932 carried out by the Khana Ratsadon group of military and civilian officials resulted in a transition of power, when King Prajadhipok was forced to grant the people of Siam their first constitution, thereby ending centuries of absolute monarchy. From then, the kingdom of Thailand has a monarch and a functional constitution to serve the public. Thailand is the 50th-largest country by total area. It is slightly smaller than Yemen and slightly larger than Spain. Thailand comprises several distinct geographic regions, partly corresponding to the provincial groups. The north of the country is the mountainous area of the Thai highlands, with the highest point being Doi Inthanon in the Thanon Thong Chai Range at 2,565 metres (8,415 ft) above sea level. The northeast, Isan, consists of the Khorat Plateau, bordered to the east by the Mekong River. The centre of the country is dominated by the predominantly flat Chao Phraya river valley, which runs into the Gulf of Thailand. Southern Thailand consists of the narrow Kra Isthmus that widens into the Malay Peninsula. The Chao Phraya and the Mekong River are the indispensable water courses of rural Thailand. Get the best nightlife experiences in Thailand here. Thailand’s climate is influenced by monsoon winds that have a seasonal character (the southwest and northeast monsoon). The southwest monsoon, which starts from May until October is characterized by movement of warm, moist air from the Indian Ocean to Thailand, causing abundant rain over most of the country. The northeast monsoon, starting from October until February brings cold and dry air from China over most of Thailand. In southern Thailand, the northeast monsoon brings mild weather and abundant rainfall on the eastern coast of that region. Most of Thailand has a “tropical wet and dry or savanna climate” type. The south and the eastern tip of the east have a tropical monsoon climate. Thailand is divided into three seasons. The first is the rainy or southwest monsoon season (mid–May to mid–October) which prevails over most of the country. This season is characterized by abundant rain with August and September being the wettest period of the year. This can occasionally lead to floods. During the hottest time of the year (March to May), temperatures usually reach up to 40 °C or more with the exception of coastal areas where sea breezes moderate afternoon temperatures. Most of the country receives a mean annual rainfall of 1,200 to 1,600 millimeters. Here is everything that you need to know about full moon parties. Phuket also has an international airport called as the ‘Phuket international airport’. Flights from all over the world land in Phuket. Air India, Malaysian airlines offer the cheapest flight options. One can travel from India to Thailand via sea as well. There are ferries from Kolkata and Chennai to Bangkok, a port city as well as the capital of Thailand, periodically. While travelling via sea, while the fare of the trip is extremely less, the time taken to travel increases. One can travel to Phuket, a port city in Thailand via sea as well. A ferry from Chennai passes through the bay of Bengal and crosses through the Andaman sea to reach the port of Phuket. The distance between the port of Chennai and the port of Phuket is 1348 nautical miles. 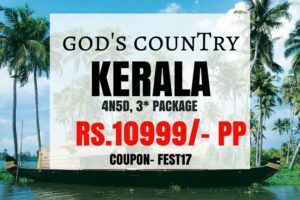 One can also take a ferry from Mumbai or Kolkata as well and reach Phuket. Here are the 35 best beaches of Thailand. Make sure to apply for a visa on arrival in Myanmar. A step by step guideline is provided by the government of Myanmar for the issual of visas. You could apply for a visa on arrival in Thailand or you can take one beforehand. Book your ultimate Thailand package here. Thailand is hailed as a paradisiacal tourist destination for a reason. It’s because of its luscious green hills, pristine sand beaches, exhilarating nightlife and affordable prices. The capital of Thailand; Bangkok has been a tourist destination since after the second world war. The locals are friendly and are willing to help foreigners. The different cuisines of Thailand win over the hearts and souls of travellers and this makes Thailand a lovable tourist destination. Each of these cities individually manage to draw hundreds of thousands of travellers due to their unique charms and quirks. Learn more about Thailand and these cities and plan your vacation to the land of Siam. Here are 13 things that you should not miss during your Thailand stay. Book your ideal trip to Bangkok here. Here are 35 things that you should do in Bangkok. Plan and book your trip to Bangkok here. Here are the best party places in Bangkok. Here are the 10 best nightlife experiences in Bangkok. Here are the 23 best budget food joints in Bangkok. Here are some of the dishes of Bangkok that help you eat like a local : Pad Thai, roasted duck and seafood. Here are the 13 best places to gorge on vegetarian food in Bangkok. Bangkok is renowned for its one of a kind nightlife experiences. Here are some of the best nightclubs and pubs that offer the best experiences in Bangkok : Ce La Vi, Onyx, Insanity and Route 66. The sheer choice of music and the number of clubs along with the easygoing charm of Thailand, makes Bangkok the most boisterous party cities in all of Asia. Book your trip trip to Pattaya here. Here is everything you need to know about full moon parties. Here are 17 adventure activities to do in Pattaya. Here are the best nightlife places in Thailand. Book your trip to Pattaya here. Pattaya is a multicultural place attracting Thai people from all around, each bringing their own cuisine and food. The coastal city of Pattaya also enjoys fresh seafood caught in the gulf of Thailand. Here are some of the local foods of Pattaya that you should try. Pla Pao is salt-crusted grilled fish with lemongrass, Khao pod Gao is fried rice with shrimps, Kao Tum is rice soup and Pad Thai which is stir-fried rice noodles. Pattaya is a very famous tourist destination because of its amazing scenery and pristine beaches. But Pattaya is not only nature, as it also has a reputation for being a haven for partygoers. Pattaya offers some of the most epic nightlife experiences. The Nashaa club, Windmill club, Pier Pattaya and Flexx club are some of the nightclubs that have its patrons raving nonstop. Here is the best shopping guide to help you shop till you drop in Thailand. Book your trip to the Land of Siam here. Phuket has been a part of a major trade route between India and China and was frequently mentioned in the logs of the Dutch, French, Portuguese and the English traders. Because of its role as a stopover in a major trade route, Phuket has been a colonial hub from centuries ago. Phuket also has huge resources of tin and rubber which was exported to these countries. In the 17th century, the Dutch and English competed for an opportunity to trade with Phuket because of its rich tin reserves. After the Dutch and the English gained influence in the area, the then king of Siam seeking to reduce the influence of Dutch and English named a French missionary, Brother Charboneau as the first governor of Phuket. Brother Charboneau remained as the governor of Phuket till 1685. The French were soon expelled from the island of Phuket in the 1688 Siamese revolution and the island of Phuket was back in the control of the native people. Here are the top party places in Thailand. Phuket is the largest island in Thailand. It is in the Andaman Sea in southern Thailand. The island is mostly mountainous with a mountain range in the west of the island from the north to the south. The mountains of Phuket form the southern end of the Phuket mountain range, which ranges for 440 kilometres from the Kra Isthmus. Phuket is approximately 863 kilometres south of Bangkok, and covers an area of 543 square kilometres excluding small islets.The island’s length, from north to south, is 48 kilometres and its width is 21 kilometres. Seventy percent of Phuket’s area is covered with mountains which stretch from north to south. The remaining 30 percent are plains in the central and eastern parts of the island. It has a total of nine brooks and creeks, but does not have any major rivers. Here are 21 luxurious hotels to spend your honeymoon in Thailand. Under the Köppen climate classification, Phuket features a tropical monsoon climate. Due to its proximity to the equator, in the course of the year, there is little variation in temperatures. The city has an average annual high of 32 °C and an annual low of 25 °C. Phuket has a dry season that runs from December through March and a wet season that covers the other eight months. Here is a list of thing that you cannot miss during your Thailand visit. Book your Phuket trip here. A distinctive feature of Phang Nga Bay are the sheer limestone karsts that jut vertically out of the emerald-green water. James Bond Island and Koh Panyee are just two of the more famous spots in this bay. By far the best means of enjoying the spectacular scenery. Visible from the most part of south Phuket, the giant Buddha sits on top of Nakkerd hills and looks down on Chalong, Kata and Rawai. The size of this Buddha is a massive 45 meters and it cost 45 million Baht for construction. A lot of people write messages on the bricks of the Big Buddha for good luck and in memory of passed-away loved ones. If you are looking for ways to make your journey to the Land of Siam become more richer, than the best way to do so would be to take traditional Thai cooking classes. There are many cooking schools located near Patong beach, take a class from their course list of classes ranging from a 30 minute class to a 6 hour one. If you are eager to find out more about historical Phuket, then make a visit to the Thalang National Museum. The Museum holds an exhibition of ancient artifacts from Old Phuket and items used during the war with Burma. This is a great way to immerse yourself in the history of the island. Here are the best places to experience nightlife in Thailand. The town of Phuket has been established after being recognised as a part in the major trade route. Being a harbor town, Phuket’s cuisine has been influenced by foreign traders who frequented the town. Chinese cuisine has a huge influence on Phuket’s cuisine due to a number of descendants of Chinese traders that settled down in Phuket. Here are some of the local dishes of Phuket that will help you eat like a local. Oh-Tao is a famous hot pot dish, Pat Tai is a local noodle dish made with uniques curry paste, Moo Hong is a stewed pork dish and Kahnom Jim is a local noodle dish made with rice or fish and topped with sauce. Here are the top 10 best budget food joints. Phuket has evolved as a famous destination for people to visit and relax. Phuket also offers some extraordinary nightlife experiences. Xana beach club, Excotica Ago-go, The Laguna nightclub and illuzion Phuket are some of the best night clubs in Phuket. The island has a great variety of shopping, from bustling open-air village food markets, noisy night markets, street stalls and local shops to western-style department stores and upmarket specialist shops. Prices naturally vary, going from amazing bargains to credit card-melting designer labels. With traditional handicrafts, beautifully-designed clothing, jewellery, antiques, housewares and much more to choose from. Standing downtown, diagonally opposite Bangla Road, the Jungceylon Shopping Complex has radically changed the face of shopping in Patong. The 200-plus other stores in this shopping heaven sell brand-name clothes, spectacles, sunglasses, cosmetics and perfumes, shoes, DVDs, computer games, tons of mobile phones and accessories, electrical goods but it is also a great entertainment haven with a five-room SF Cinema and a 16-lane bowling alley, perfect for rainy days or to escape the heat of the day. Here is the ultimate shopping guide for Thailand. Also known as Naka market, Chao Fa West Road just outside Phuket Town not far from Central Festival, is a fascinating jumble of secondhand goods, curios, pirated items, live animals and a large amount of great local food to sample. Phuket Walking Street is the latest attraction featured in Phuket Old Town. Also-known-as Lard Yai, which means ‘big market’ in southern Thai dialect. This weekly market started in October 2013 and is hosted on the beautifully renovated Thalang Road, right in the middle of the historical Sino-Portuguese district of Phuket Town. Phuket Walking Street allows visitors to discover some typical southern Thai culinary specialties as well as local handicraft and gift stalls. Book your Phuket travel package here. 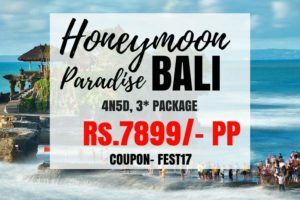 Here are the best honeymoon destinations in Thailand. The province is on the Strait of Malacca and is noted for its natural beauty. There are solitary limestone peaks, both on land and in the sea. Rock climbers from all over travel to Tonsai Beach and Railay Beach. The beaches form part of Krabi’s Phra Nang Peninsula. Other notable islands include Ko Phi Phi Don, part of the Phi Phi Islands, and Ko Lanta, a larger island to the south. Krabi’s limestone hills contain many caves, most having stalactites and stalagmites. Here’s everything you need to know about the grandest full moon parties. One can also take a ferry from Mumbai or Kolkata as well and reach Phuket and reach Krabi from Phuket. Book your trip to Krabi here. Here is a list of 35 of the best beaches of Thailand. Here are some of the dishes native to Krabi to help you eat like a local. Yam Khai Doon is fried egg salad, Khanom Tar is palm sugar pudding, Itim Kati is coconut ice cream and Kanom Krok is coconut pancakes. Kick back in Krabi and have a peaceful and an amazing nightlife experience in Krabi. Roogie bar, Amy’s bar, Grace’s Irish pub and Carlito’s bar are some of the best clubs and bars in Krabi. 37 ways to save money during your trip to Thailand. The currency of Thailand is Baht. 1 Baht = 1.92 Indian Rupees. Thailand is relatively inexpensive making it an ideal tourist destination spot. These are the things that you must absolutely not miss during your Thailand visit.